View of the Confluence of America's Two Great Rivers - The Ohio (coming in from the northeast (right) and the Mississippi (coming in from the north west (left). 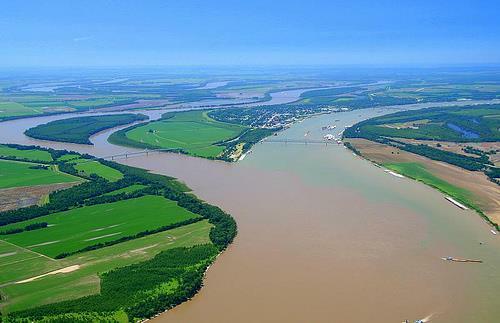 Our office is located at Wickliffe, KY, (to the lower right of the picture) which we like to call the "birthplace of the Mighty Mississippi!" Is here that the "Great River" is formed and flows on south to the Gulf! Kentucky is to the right of the picture, Missouri to the left, and that's Illinois in the middle with the City of Cairo, IL visible. The bridge over the Ohio connects Kenucky and Illinois, while the bridge over the Mississippi connects Illiniois and Missouri. 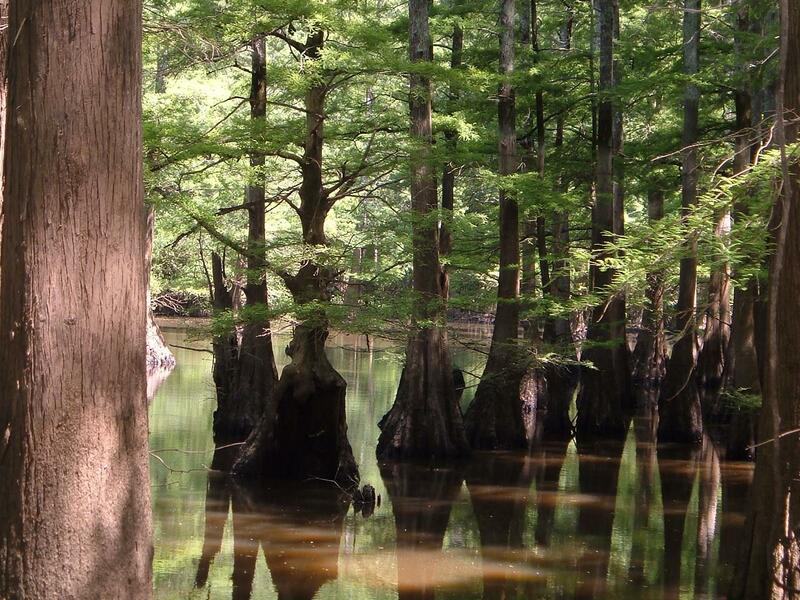 Our many river bottom lakes, "oxbow lakes", "horseshoe lakes" and other configurations carved by the meanders of the old river are the home of cypress, tupelo gum, and many species of game fish. In winter season, these areas are prime "duck holes" and provide great waterfowl hunting.